A bike with with Gary’s number plate on it has been raced by Gary. That’s a 1937 Indian at the right, in road race trim. 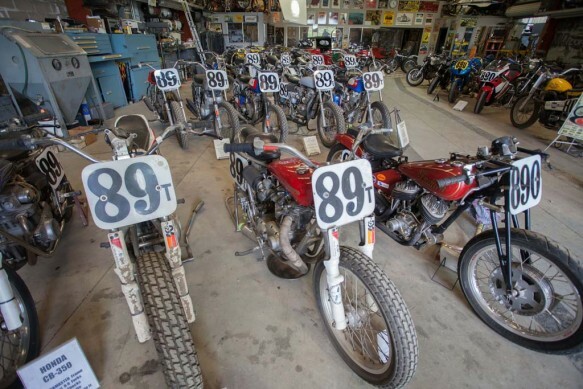 The number 80 is for dirt-track and motocross , and number 890 for road racing. Front right is a 1937 Indian Scout set up for road racing. All of Davis’s racing now is vintage.